“If I Was Connie Britton”? “Post-War Cinematic Dead Man Blues”? “Jesus Was A Social Drinker”? … with song titles like those, it’s gotta be a new Chuck Prophet album. He continues that theme as “Bad Year for Rock and Roll” laments last year’s lost musical icons while looking forward to better times with “we don’t have to die/ to reach a better place” in a song with a chorus that screams to be sung along with live. From the Yardbirds meets the Cars drive of “In the Mausoleum” (dedicated to Alan Vega) that includes strangulated, supercharged guitar licks, sounding like an homage to Link Wray (an acknowledged inspiration), to the sweet, melancholy “We Got Up and Played,” a nod to all the bands who sweat it out in front of empty clubs, Prophet and his trusty Mission Express unit is fired up and strutting like the veteran ensemble they are. Prophet gets serious on the ominous “Killing Machine” about a serial killer zeroing in on his next victim as the guitars and drums churn like the madman’s twisted mind behind him. Thankfully, he doesn’t detail the outcome of that story, just the lead-up, letting us fill in the gruesome details ourselves. He also touches the soft spot in his (and our) heart for the sweet if sad unrequited love ballad “Open Up Your Heart,” singing “c’mon, darling/ when you gonna open up your heart for me?” with forlorn realization. 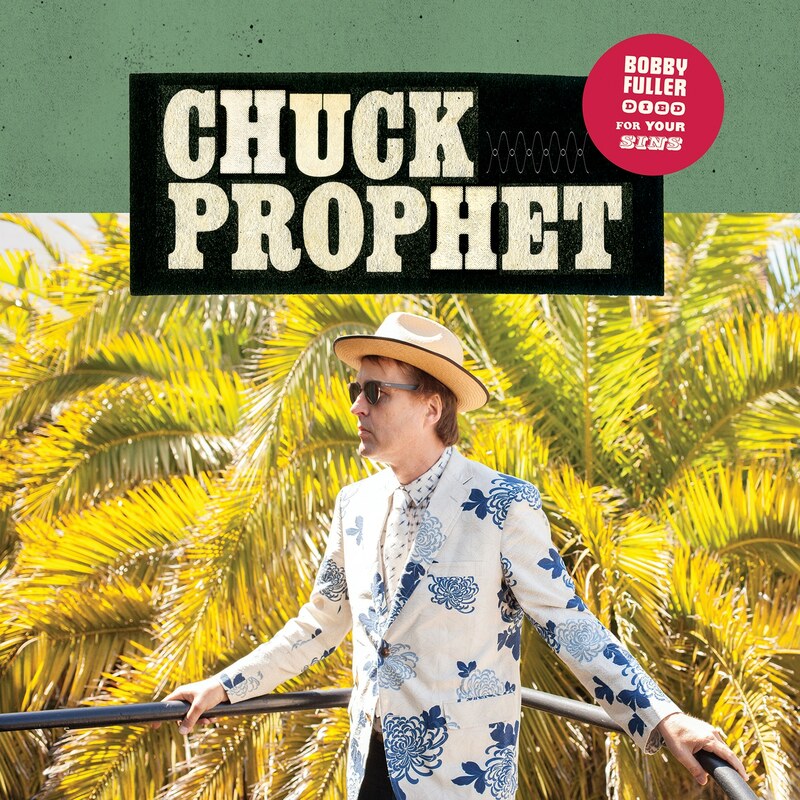 But anyone who doesn’t warm up to the tough, sinewy and even soulful chugging of “Coming Out in Code,” or the raw Stones-styled “If I Was Connie Britton,” simply isn’t a lover of the honest, unfiltered, crackling rock and roll at the center of everything Chuck Prophet espouses. The memorable melodies, exuberant playing, detailed lyrics and unflinching honesty that exudes from Prophet live is represented well in the studio here, where no less than four producers join to create this stellar addition to an already impressive catalog. It’s hard to choose a favorite Prophet disc, but for either the uninitiated or the already on-board fan, Bobby Fuller Died For Your Sins is yet another example of not just his love of rock and roll, but an ability to create it with the spirit and intensity of the best of those that influenced him. This article has been amended from its original version. It originally listed Bobby Fuller as the writer of “I Fought The Law.” That song was written by Sonny Curtis.